MainAll NewsBusiness & EconomyIsrael - Energy Powerhouse? The increased projections of deposits in Israel's off-shore gas fields have put Israel, for the first time, on the road to energy-exporter status. The updated and increased projections of deposits in Israel's off-shore Mediterranean gas fields have put Israel, for the first time ever, on the road to energy-exporter status. 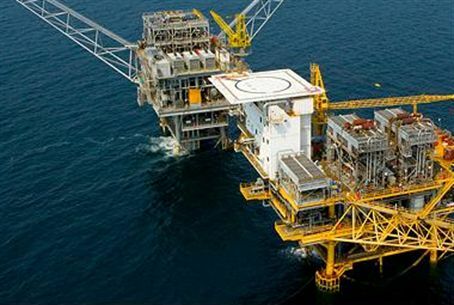 Noble Energy Inc. and partners – two companies controlled by Yitzchak Teshuva's Delek Group - said their discoveries in the Tamar and Leviathan maritime gas fields may hold between 690 and 850 billion cubic meters of gas. The Tamar field alone has been upgraded to 237 billion cubic meters, or nearly 60 times larger in volume than the Kinneret (Sea of Galilee). It was previously estimated to have held approximately 180 billion cubic meters. According to the new appraisal, the Leviathan oil field nearby has a good chance – about 50% - of holding gas or oil to the tune of 16 trillion feet – nearly twice the size of Tamar. The finds could supply Israel's gas needs for the next 20 to 35 years. Minister of Infrastructures Uzi Landau said, "The significance of these new finds is historic. The uncertainty has been removed, Israel is clearly a gas power, and could become a main player in the international natural gas market." "If it truly becomes possible to produce this gas," he said on Thursday, "this could make a revolution both economically and environmentally, and Israel could turn from a consumer to a supplier of gas. This is a jump that could mean economic independence for Israel in its 63rd year." ...The attractive terms offered by Israel encouraged the companies to go out on this pioneering adventure to seek oil in unknown waters. Exporting gas is still years and billions of dollars of infrastructures away, however, analysts say. "The attractive terms offered by the Government of Israel were what encouraged the companies to go out on this pioneering adventure to seek oil in unknown waters," Minister Landau said. "I congratulate all those involved on their daring, faith and patience in this endeavor. The Ministry of Infrastructures plans to grant whatever support is needed so that the natural gas can be used as quickly as possible. During these difficult days, when Israel is under attack from every direction, it is good to know that the land promised to the Jewish People flows with milk, honey and especially natural gas."